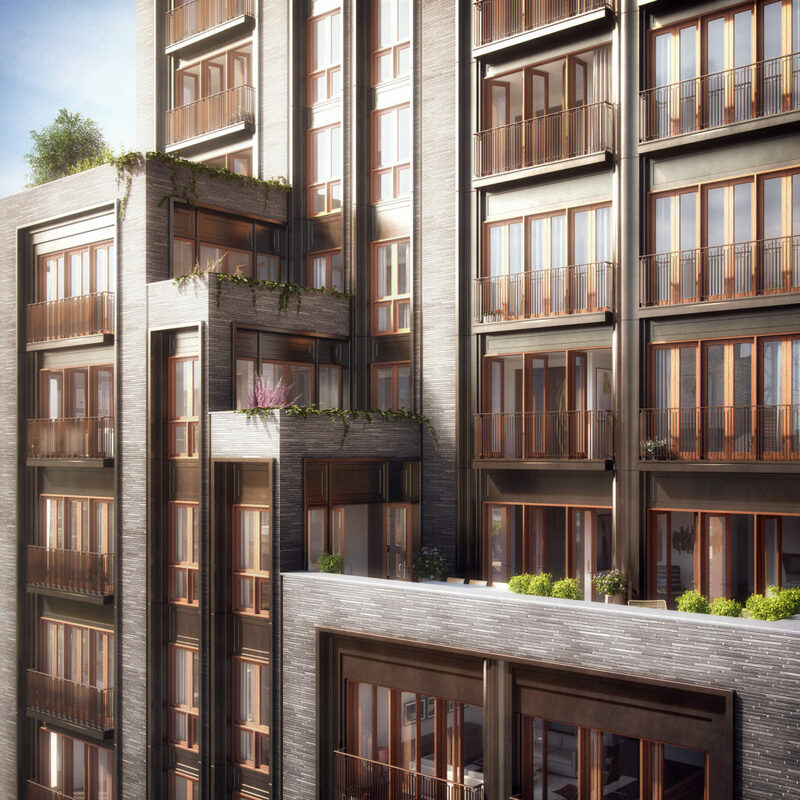 The first rendering of the Naftali Group’s Upper West Side condo project at 210 West 77th Street is out. Dubbed “Two Ten West 77,” the 18-story building is designed by Thomas Juul-Hansen, according to a new teaser site. The development, located between Amsterdam Avenue and Broadway, features natural materials, a “custom hand-formed brick facade,” balconies and floor-to-ceiling mahogany windows, according to Buzzbuzzhome. Half of the 25 residences will be full-floor units.